Foreign immigrants enjoying their day off in the city. Foreign workers hang out at an older part of the city just next to Chinatown around Kota Raya shopping mall on Sundays. 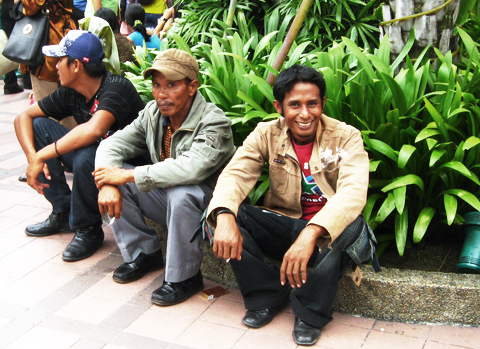 Some are degree holders from Burma or Vietnam but immigrated to Malaysia as there are too few jobs in their countries. Over here, as blue-collared workers, they are mostly treated with disdain and little respect. But if you look closer, they are just like you and I, who want a better life. 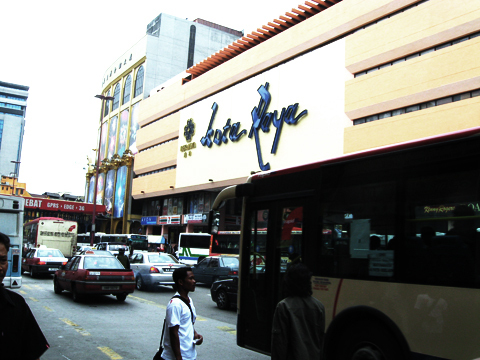 Kota Raya shopping mall located just opposite Chinatown and a few blocks from Central Market – the city’s bohemian arts hub. When the McDonald’s opposite Central Market just a few blocks down from here opened, I spent many days there just reading or doing my homework. Also, dated my high school sweetheart there a few times. Incidentally, Kota Raya is also a good place for used (maybe stolen) mobile phones . Around the area are some of the oldest kopitiams (coffee shops) that serve some of the best local food. I truly concur what you have said about foreign workers in the country. Many are not aware that some of these foreigners are actually refugees. Unfortunately, Malaysia does not recognise refugee status and they di not treat illegal immigrants lightly. When I was serving my short stint as a volunteer at the KL Magistrate Court, I have seen these refugees being sentences to jail with whipping thrown into it despite insisting that they are refugees. hope to see u around.